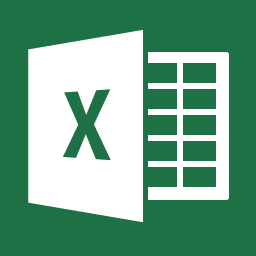 You (and, more importantly, your boss) love what you’ve created thus far in Excel. You’ve spent hours entering your data into your worksheets, organizing the data using best practices, and creating advanced formulas to calculate what you need to see. So, what have you learned about your data? At this point, it’s time to get involved with more Excel tools for data analysis. As you get more creative with data analysis, you can extract useful information from the data, establish data trends, and make smarter business decisions as a result. This post introduces you to a powerful Excel feature: the Excel table. Excel data is naturally organized into rows and columns. That is what it designed to do after all. However, if you follow some simple, best practices when entering data then you can use features like Excel tables. Tables are a simple way to help you organize and analyze an independent set of data. What is an independent set of data? It is a data set that has no blank rows or columns, and includes data labels in either the first row or first column. For organization, tables provide a way to label one data set versus another. There are also built-in sort and style features that help to quickly create a Table. In terms of data analysis, there are built-in filter and totaling features in an excel table as well. Can I use formulas in a Table? Great question! You can use the Totals feature to create aggregate functions like SUM, AVG, MAX, and others. However, formulas work differently in a Table than normal Excel. When you add a SUM function from the Totals feature of Tables, Excel actually uses the SUBTOTAL() function in a unique way. If you need simple Totals, then the Totals feature is a good option, but if you need more complex formulas you should create the formula outside of the table area and follow the techniques you learned in the previous lesson. OK, enough talk. I need to analyze some data! Sounds good. Let’s try it! To learn more about Tables and PivotTables, Digital Workshop Center offers classes on advanced Excel concepts both in person and online. Fill out the form below to request more information about From Excel Tables to PivotTables or to request information on customized individual or group training sessions.